I’ll be opening my studio for North Somerset arts week again 11.00am to 6.00pm over the May Day Bank Holiday weekend (including BH Monday) and the following weekend, 29, 30 April, 1,6,7 May. I’ll have many new plein air oil paintings of the local area and from further afield on show for the first time as well as a new studio paintings. Much of my new work is exploring the fast changing light at dawn and dusk. I’ll also be showing some examples of my portraiture including a painting of my son that was recently preselected for the Royal Portrait Society show. Lois Pryce (no relation) will be exhibiting with me for the first time. 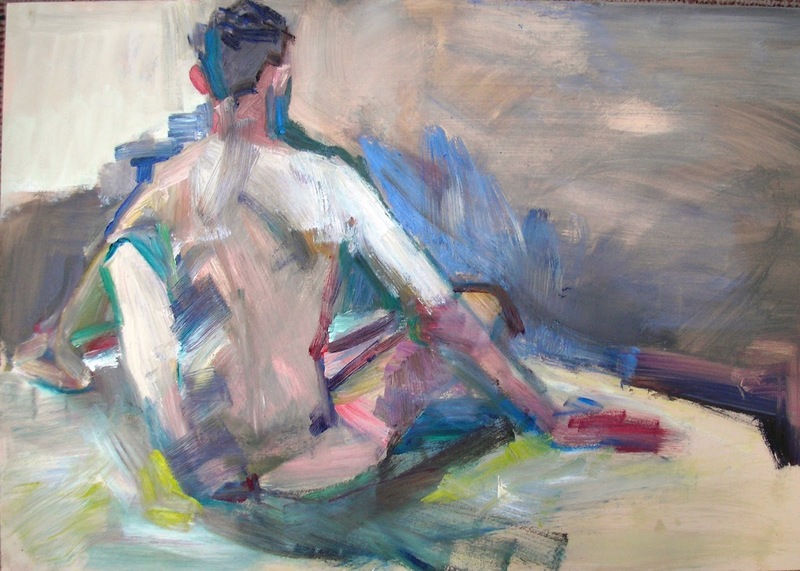 Lois paints local scenes, still lives and life studies in a bold expressive style that I hope you will enjoy. Also I’ll have Raku pottery by Brian and “Nibs” Fowler, they’ll be exhibiting a range of vessels, bowls and figures that show this exciting medium off to the maximum. If you’ve never seen the Raku process before it’s fiery and unpredictable, there will be a couple of Raku burnings in the garden on the final Sunday when you’ll have an opportunity to scrub off the carbon yourself and reveal what the process has created. I was lucky enough to get to see the London exhibition http://www.facebook.com/pages/Contemptible-Subjects-and-Other-Things-of-Interest/267994289951911 this week at the Menier Gallery. Sadly it’s now over. It was run by the three exhibiting artists and I was lucky enough to meet Simon Davis and Andrew James who were there at the time. I hadn’t realised I was so familiar with so much of Simon Davis’ work until I saw it in the gallery. I was particularly happy to be able to talk to Andrew James as I’m in the middle of watching his Expressive Portraits DVD. I was lucky enough to have a long talk to him and he’d be happy to come to the Bristol area to run a weekend workshop if enough people are interested, so get in touch if you are. 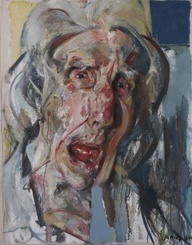 Take a look at the incredibly powerful Ivy III portrait if you are in two minds.